You can share documents, images, and other assets by adding them as files attached to a workspace. 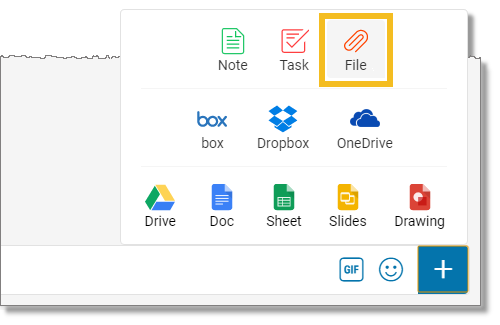 You can attach notes, tasks, or other files to a file. You can also add tags and followers to a file. 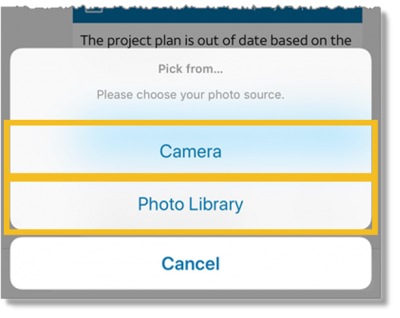 If you’re adding a file using the table or mobile app, you can only add a photo. Navigate to the file location on your computer. Double click the file you want to add. The file appears in the Files list for the workspace. In the workspace messages panel, tap the Action icon . Tap Camera or Photo Library as the photo source. Take the photo of select the image you want from your photo library. The file appears in the Files list for the workplace. When you click the file in the Files list, you can edit the file details. 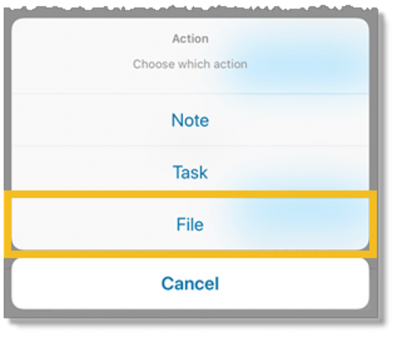 In the file details tab, you can add attachments, such as tasks, notes, and other files. You can also add tags to help filter and search for the file.